2015 started off with yet another set of gorgeous typefaces for all your design needs. Let’s check them out below. Panton is inspired by the classic grotesque typefaces. Ingra is a large family for big tasks. Colt aims to balance unbridled power and finesse. Clear and direct, with subtle influences from the broad nib pen. Galano Classic – the display companion of the Galano Grotesque family. Firme is a geometric, robust typeface. Gloss Drop is a wild hand lettered typeface. Akhand is a virtually mono-linear sans serif. Brace lays slabs serifs onto the popular typeface Trim. Ramsey Condensed is fun and easy to use. Brahmos is a display typeface family in 5 upright styles. A reinterpretation of the thick-thin style. Frost is a smooth and lively connected script family. Fazeta is a text face without sentiment. A fresh take on mid-century pointed brush lettering. 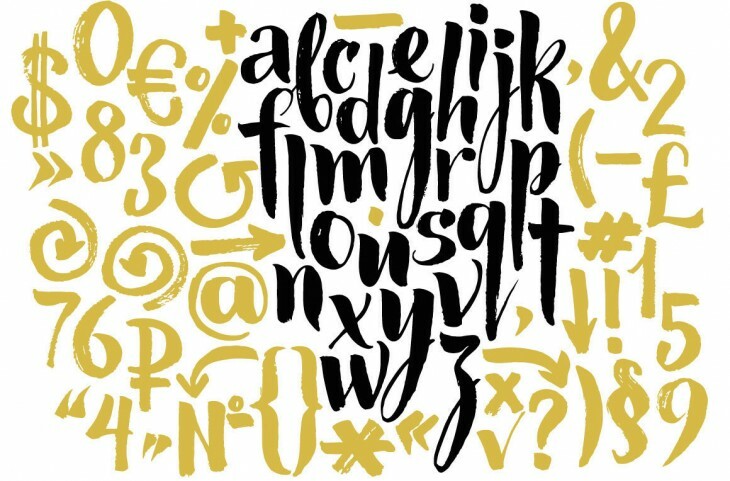 Spumante is a slim, semi-connected script with lithely upright curves. Sica was designed to address issues related to technology, while maintaining humanistic forms. A handmade typeface that gives a random, natural feel to any design. Auberge Script is an exercise in going overboard with alternates, swashes, and ornamental devices. NB International pays tribute to grotesk typefaces of the ‘international style’ era. Spry Roman was designed to break out of the mold and dance along the baseline. Core Sans E is a modernized grotesque font family. FS Millbank – a wayfinding typeface. Mangan combines classical rationality with contemporary design. Cavita is a mix between both grotesque and calligraphic models. Obsidian is a majestic typeface that uses digital means to achieve traditional ends. Styling is a simple, light, sans serif typeface. Usual is suitable whenever typographic sobriety and neutrality is needed.